The Arena World Championship (AWC) at BlizzCon kicked off Monday during Opening Week, with the first and second rounds of the upper bracket being played out in front of a live audience at Blizzard Arena Los Angeles. No teams were eliminated, though the results did fill out the first round of the lower bracket. Let’s break down the true lessons of the tournament’s opening day. 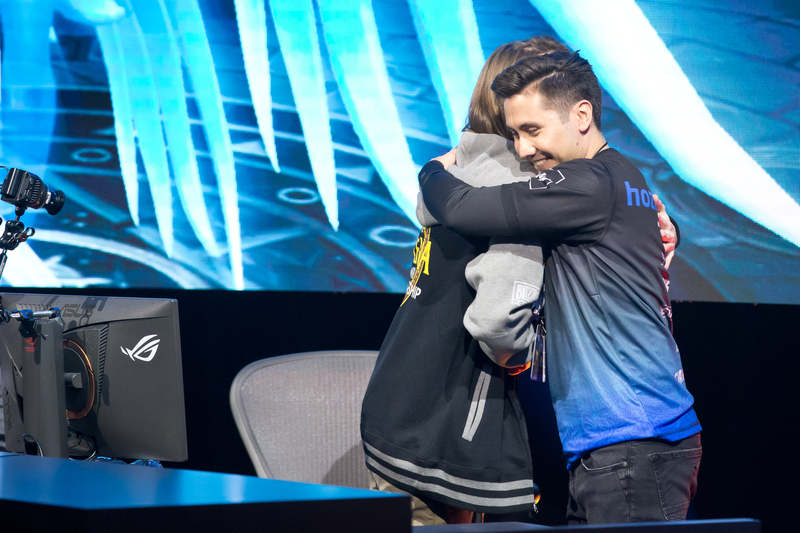 Latin American representatives always seem to enter BlizzCon brackets as underdogs, but Unitas shrugged off that descriptor in the first round of competition, sending North American third seed Super Frogs to the lower bracket. One of Unitas’ secret weapons were the Dark Iron Dwarves. These stout, smoldering soldiers have a racial trait called Fireblood: an instant cast that lasts eight seconds, with a two-minute cooldown, which removes all poison, disease, curse, magic, and bleed effects, as well as increasing your primary stat by 600 and an additional 200 for each effect removed. This is why you’re seeing a lot of representation from the Dark Iron Nation in this tournament. This racial trait is particularly effective, Hozitojones said, against Boomkin (Balance Druid) compositions—exactly what the Super Frogs ran with. Boomkins can throw a lot of debuffs at you, which can be negated with Fireblood, but the trait is particularly useful when you are hit with an Entangling Roots/Solar Beam combo, as it can be activated while Silenced. It worked well against Super Frogs. But Method Black was a whole other story. In the two days before the competition at Blizzard Arena, each team battling in the AWC sat down with the caster team to talk about the upcoming tournament. The casters were seated along one side of a boardroom table, and the players would file in and sit along the other side. When it was time for Method Black, René “Swapxy” Pinkera went straight for the head of the table, where he sat and considered all his answers carefully, like the WoW Arena community’s quiet but benevolent mob boss. Other teams talked of their suspicion that Swapxy holds secrets which make Method Black so good. When asked about that, Swapxy was not amused. “People don’t like reading tooltips,” he says matter-of-factly, with a twinge of disappointment. Well known for his analytical mind and eye for detail, Swapxy explained that the best matches are the ones that are won before they even begin. “I want to go into a matchup, play badly, and still be able to win,” he said. Unitas put up a fight, but Europeans’ grasp of the game plus their mechanics wore the Latin Americans down. 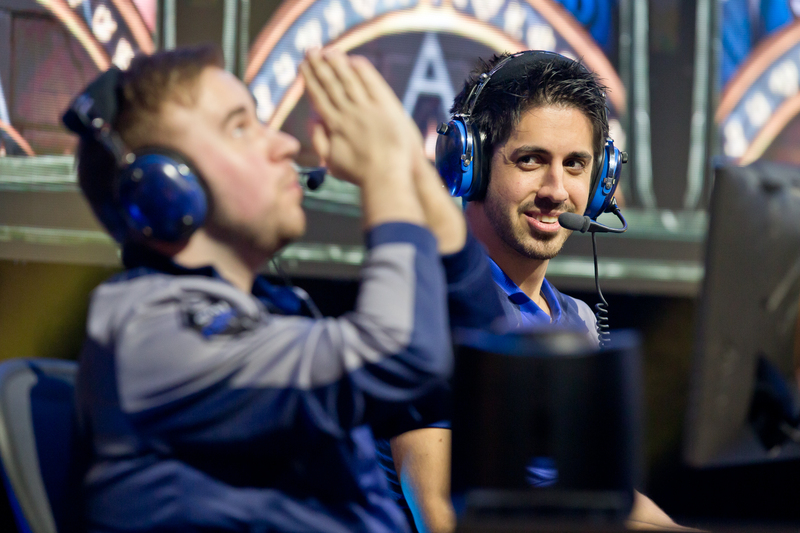 With that, Method Black seeded themselves into the semifinals at BlizzCon. Chinese team Pen and Paper made their presence felt early, sending the European roster of Reformed to the lower bracket and recording the first BlizzCon win for China in five years. The team then moved on to the second round of the upper bracket, where they met The Gosu Crew, formerly known as The Move. The Crew’s former moniker was hard to forget as the Move’s emote cascaded through Twitch chat. Both teams traded blows until the match reached a fifth and final map. How that played out and the subsequent result left The Gosu Crew’s Jason “Pikaboo” Smith with some good advice for us all. Making a Movie were concerned about their first-round opponents, China’s Cohesion Dream, due to a lack of scouting info. However, in the days before Opening Week began, some war games and a little intelligence-sharing prepared the Europeans for their match. “It was EU together—Method Black, Reformed, us and Skill Capped,” said Making a Movie’s Artur “Vilaye” Riabtchenko. “It’s not a pact or anything, but we did try to help each other.” Using the information gathered, Making a Movie were confident that they knew which compositions Cohesion Dream would run with, and prepared accordingly. Vilaye shined on his Demon Hunter in their eventual 3-0 victory. Vilaye stressed that Demon Hunter is firmly his alt character, although he’s becoming very confident in his real-life wings, getting closer to his dream of becoming a commercial airline pilot. “My girlfriend works for Austrian Airlines and they were looking for pilots, so I signed up,” he said. The whole process has taken two and a half years thus far. “There were 20,000 people in the first test, 10,000 in the second, [and] it all ended with only eight of us,” he continued, explaining the tryout process. “And the seven people with me, they were already pilots.” Vilaye is currently looking for an apprenticeship with airlines in and around Europe—but don’t worry, he’s not leaving the WoW community any time soon. Method Black’s Swapxy described Tempo Storm as a team with nothing to lose. “[They] are like a cornered animal,” he said calmly. 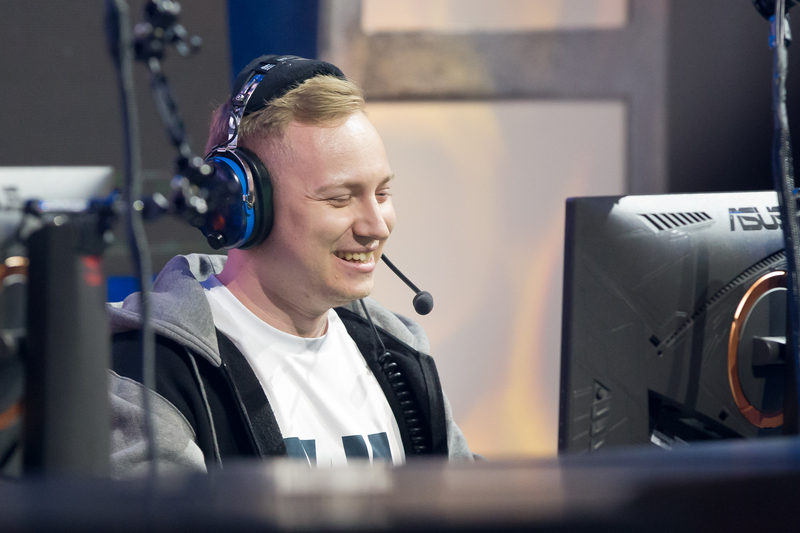 “They will fight or die.” In Tempo Storm’s first map against Skill Capped (formerly XRB to the Moon), things looked to be heading for the latter outcome, with a series of uncharacteristic mistakes from Simon “Boetar” Heinks. “If we win the first map, we will win the series,” Skill Capped’s Martin “Loony” Moazzez had said previously. His prediction proved correct, as his team pulled off a solid 3-0, sending Tempo Storm to the lower bracket. “Anyone can lose, even if you’re good,” Boetar had said the day prior—and that, after all, is why they play the games. Tempo Storm will have another chance at BlizzCon as they take on Super Frogs in the lower bracket. All the AWC action will continue this Friday, live from the Anaheim Convention Center, right after the Opening Ceremony concludes. Check the AWC Viewer’s Guide for more details.